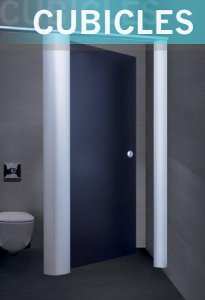 Whether you just looking for a replacement washroom cubicle solution or need a full range of cubicle systems including IPS Panels & Ducting along with new Vanity Units, RDM Cubicles can help. Centrally located in the heart of the Midlands, RDM Cubicles service requirements the full length and breadth of the UK. Within minutes of access to all major Motorways and trunk roads we are conveniently positioned to service cubicle solutions across Leicestershire within hours. Please take your time to review the Severn Range, which features our Moisture Resistant Melamine Faced Chipboard Cubicles , or if it’s Solid Grade Laminate Systems you are looking for then our Avon Range covers all the options. The Premier Range, meanwhile, offers a choice of robust metal framed Cubicle solutions, where you can opt for either MFC or SGL. 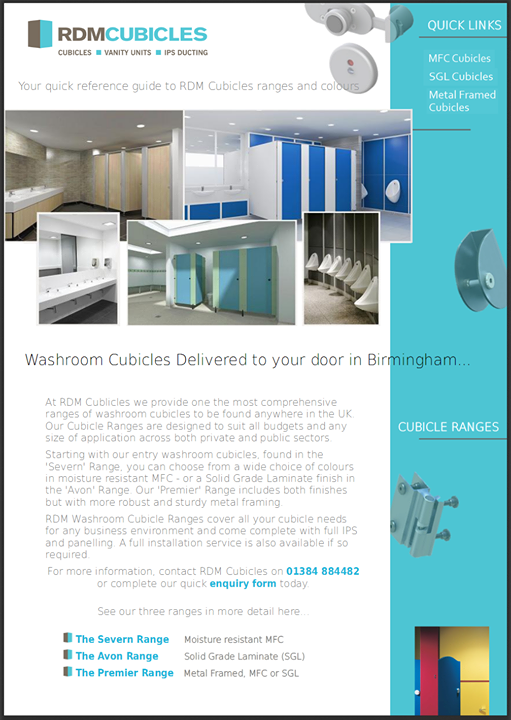 Download your Washroom Cubicles Quick Reference Guide to all RDM Cubicles ranges with sample colour options available for delivery to your door in Leicester. Save to desktop today, or simply view in your browser.